If you child has crooked teeth, or any other problems such as overcrowded, overlapping set of teeth, or a malocclusion where there are changes in the size of the bottom and top jaw (underbite or overbite), you should consider getting braces for your child. 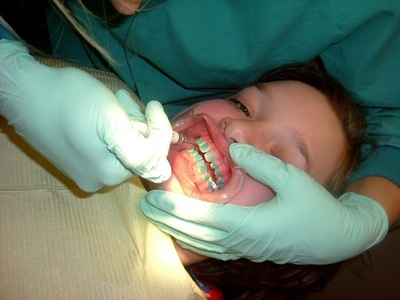 Braces may also be needed due to habits such as sucking the thumb as infants. Any which way, it is your orthodontist who will first notice what the problem is and provide suggestions. This is why regular visits to the dentist’s clinic are important. There is no specific age for your child’s first visit to your orthodontist; some kids may need to get a check-up when they are around six years old, while others could wait till they turn teenagers. Most orthodontists would suggest that children should see an expert after their primary teeth have fallen off and the permanent set has started appearing. 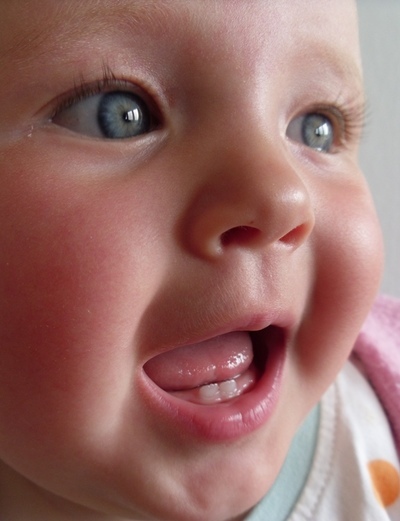 Children are not going to get braces immediately on their first visit to a dentist. Instead, your dentist will first assess what the problem is. Then he or she will suggest what kind of braces you child might need. 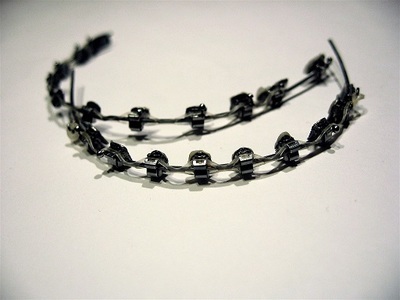 Braces are made of plastic, ceramic or stainless steel or a combination of all these materials. While braces with rubber bands are commonly used among most children, there are other options such as trays that can make your child’s teeth straight without the help of a traditional set of braces or wires. These trays are removable, help in exerting pressure on your child’s teeth and move them into the right position. There are other options used such as headgear and retainers. 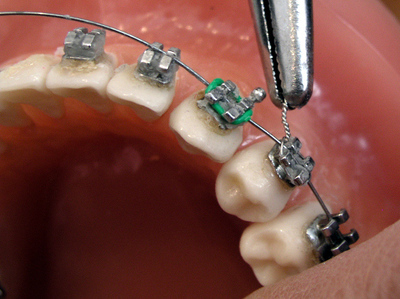 The former is fixed to the braces from the back of your child’s head. The headgear can be taken out. Your dentist will suggest that your child would need to wear headgear only at night or at home. Retainers help to keep your child’s teeth in its right position after the braces are taken out. As a parent, you should know that braces may cause discomfort to your child, especially immediately after the braces are fixed. Your orthodontist will suggest a pain reliever such as ibuprofen or acetaminophen. There is a specific wax that can cover the sharper areas of your child’s braces; your orthodontist might apply the same if brackets, brands or wires in your kid’s mouth causes discomfort. Also, as braces are fragile, so your child should keep off certain foods like hard confectionaries, candy that is chewy, popcorn or nuts. Can children exhibit allergy to braces? Chances are some children could be allergic to certain materials such as steel. There is also the chance of your child having an allergy to latex that your orthodontist or dentist’s gloves are made of. Talk to your dentist if you have any concerns.